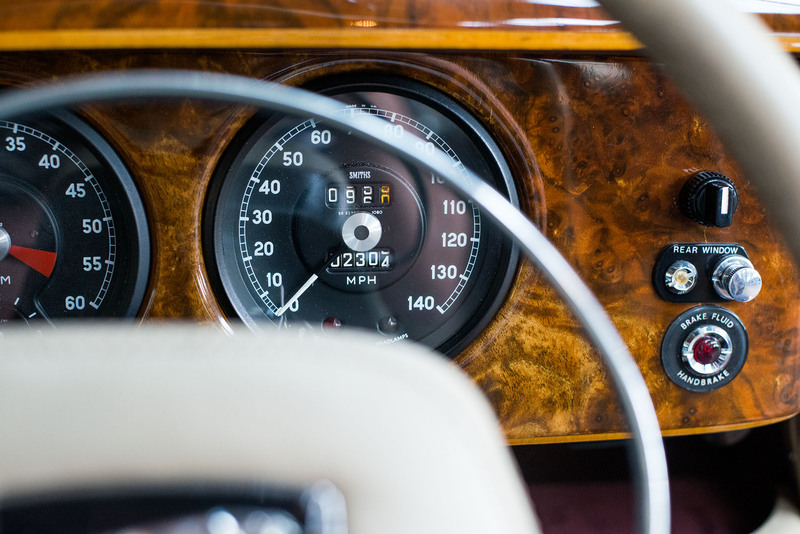 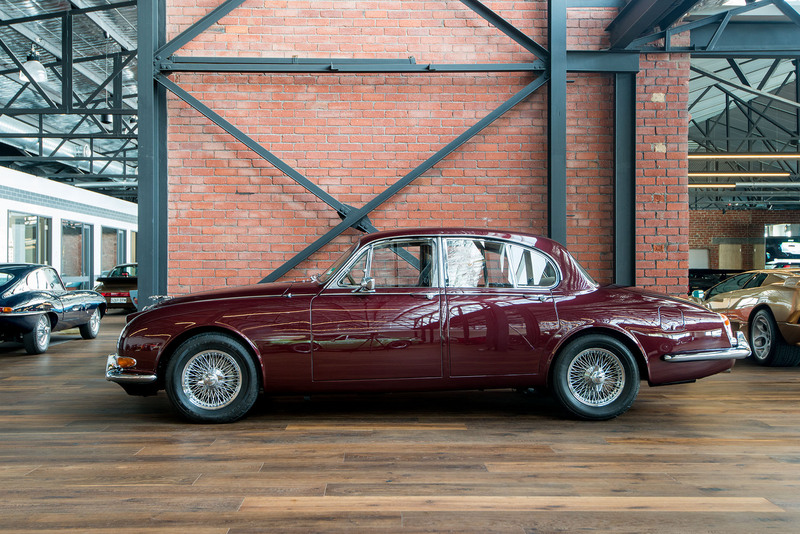 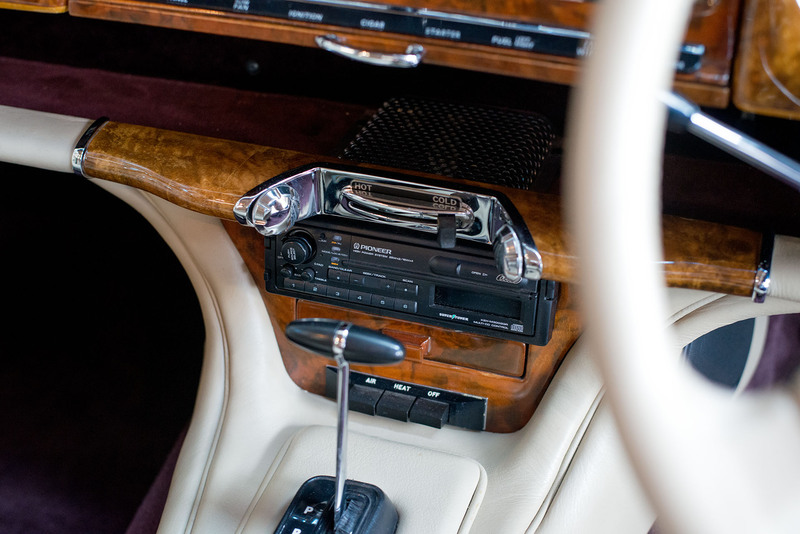 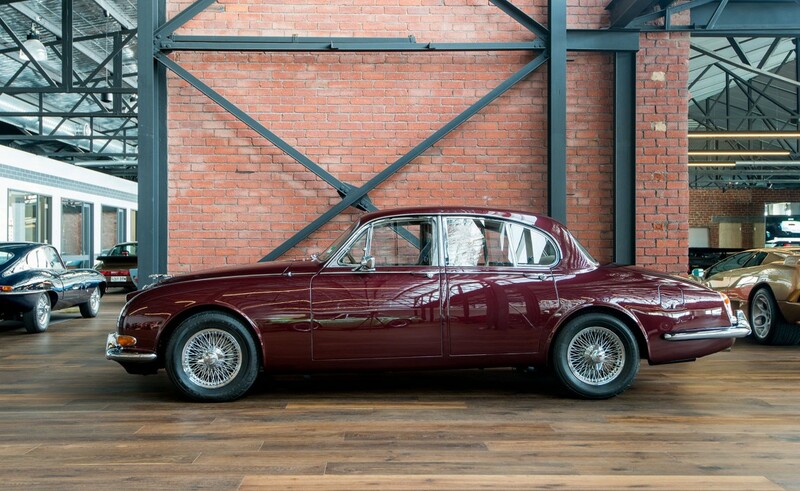 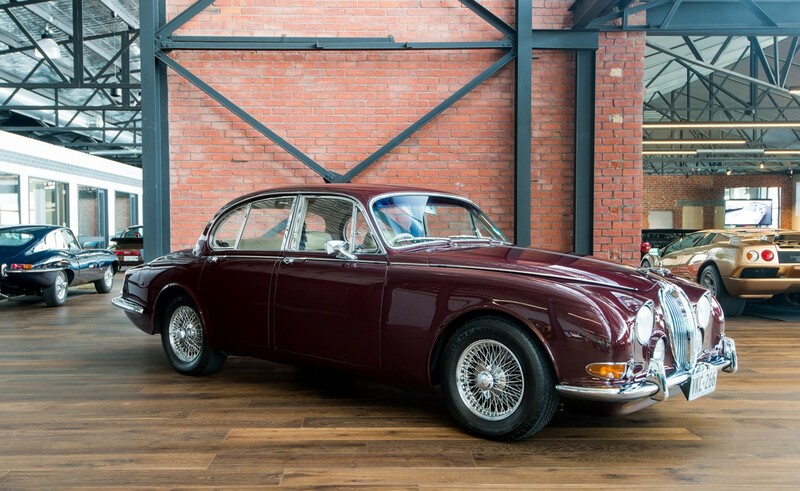 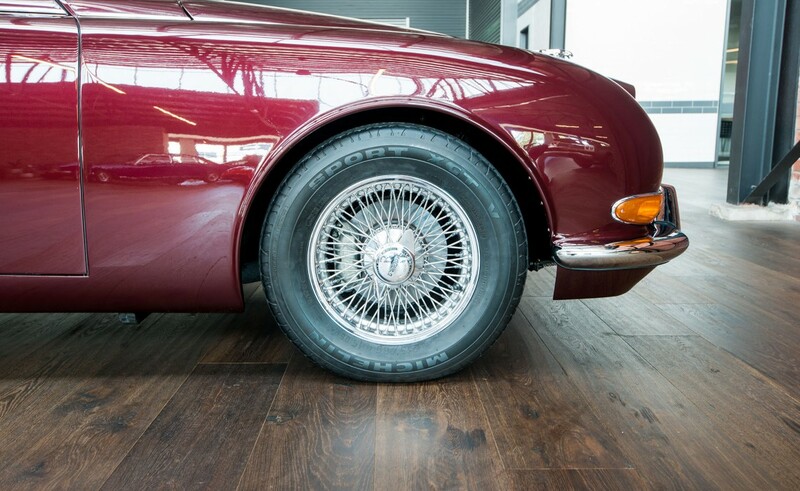 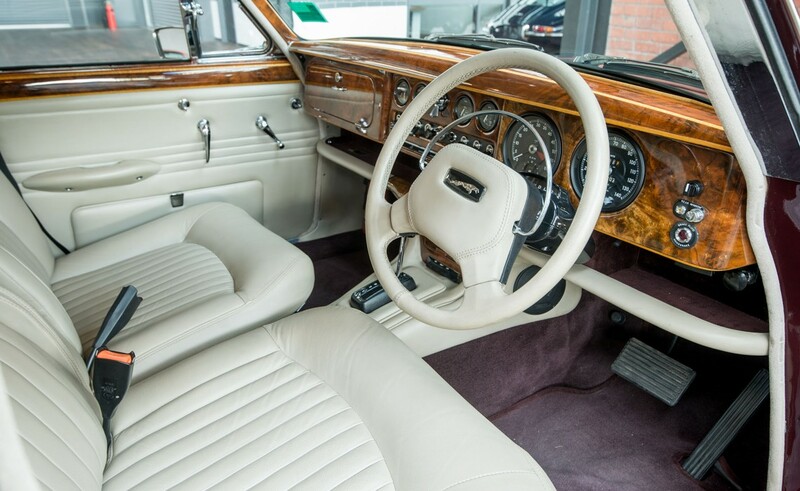 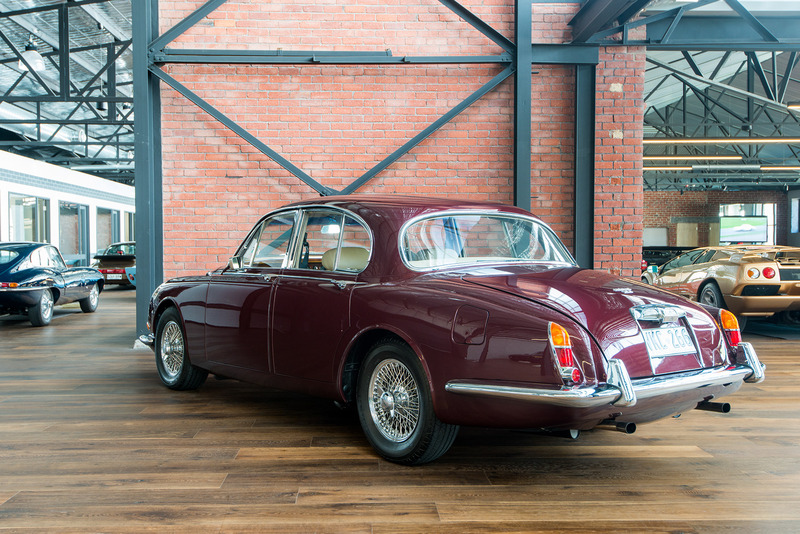 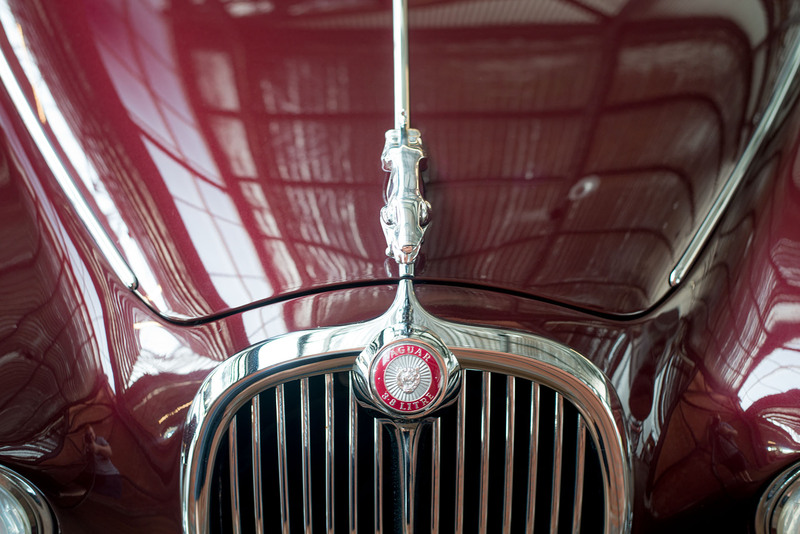 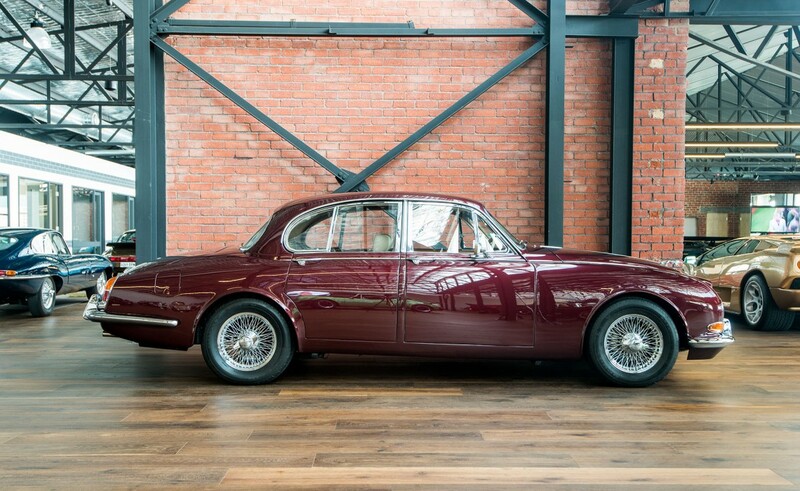 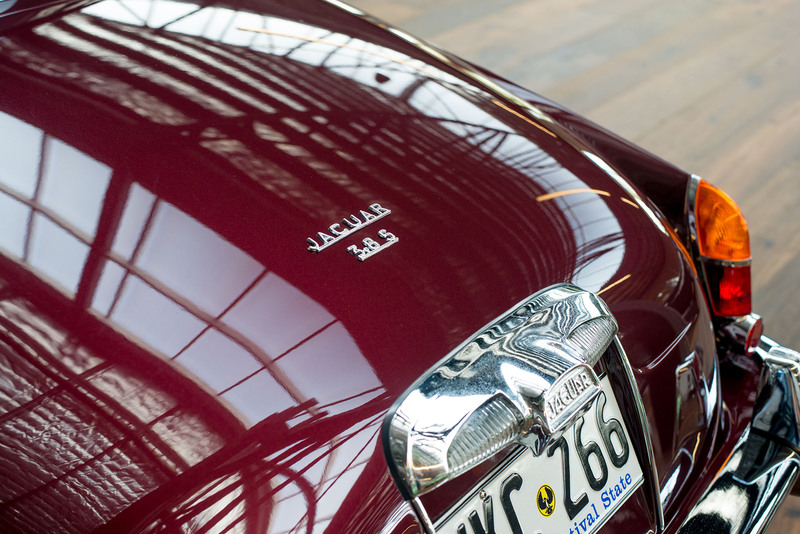 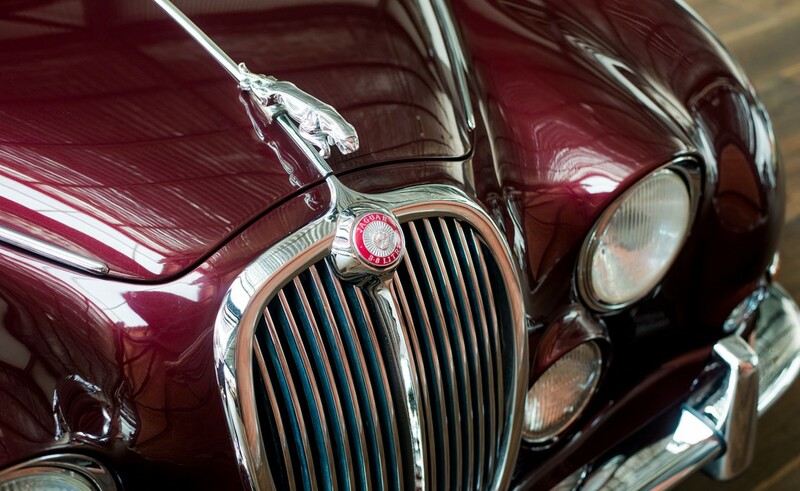 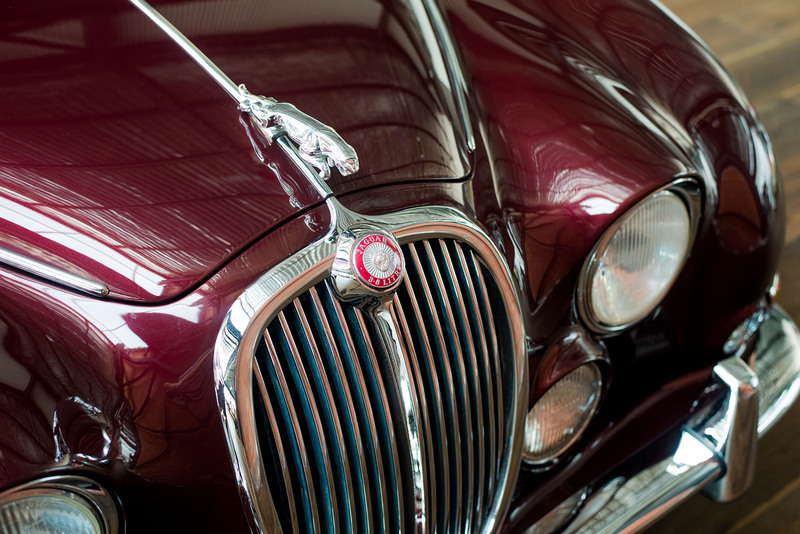 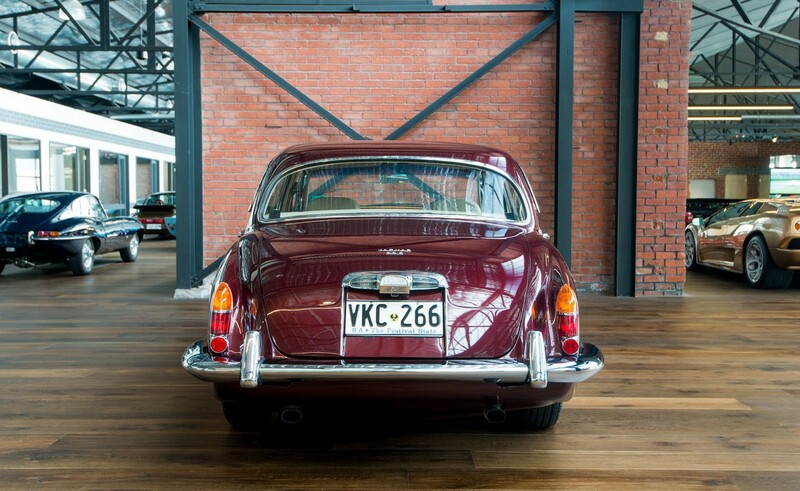 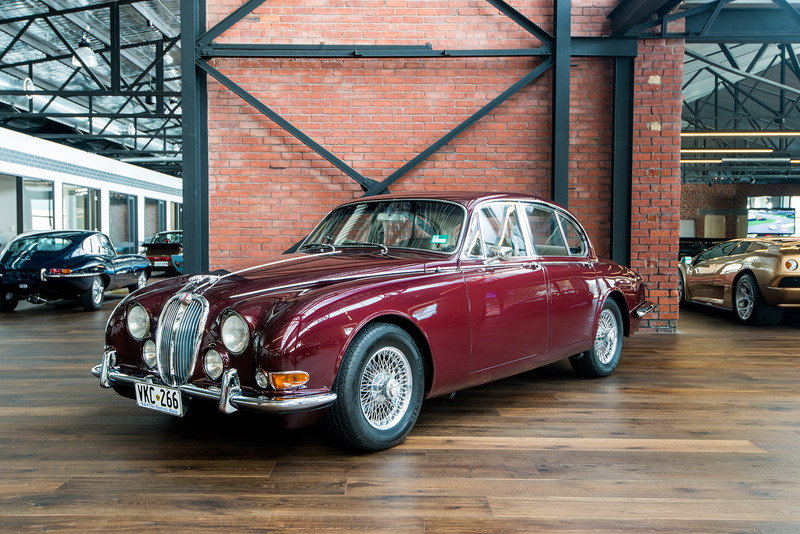 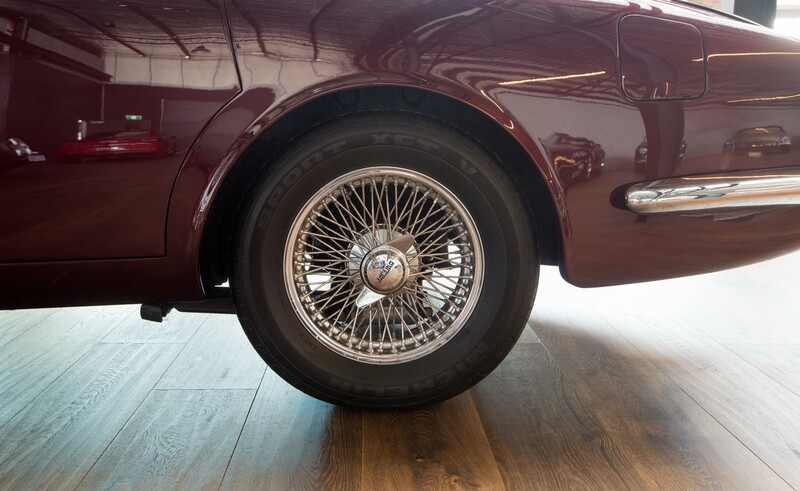 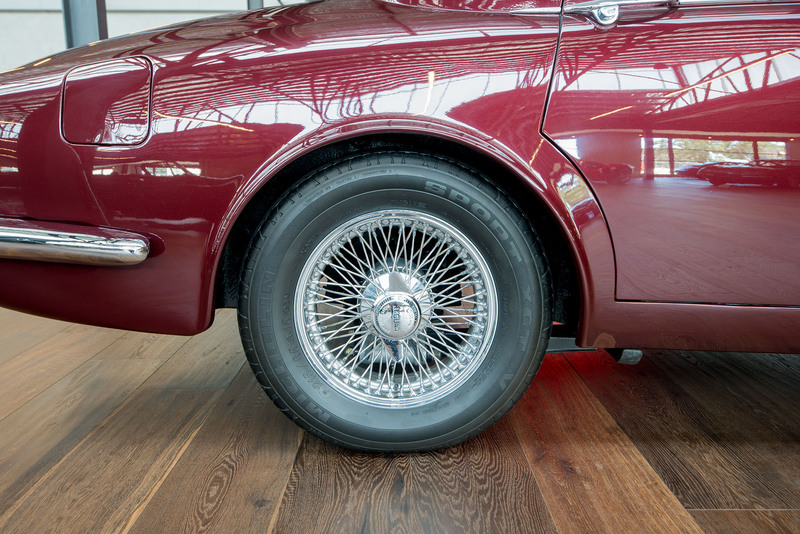 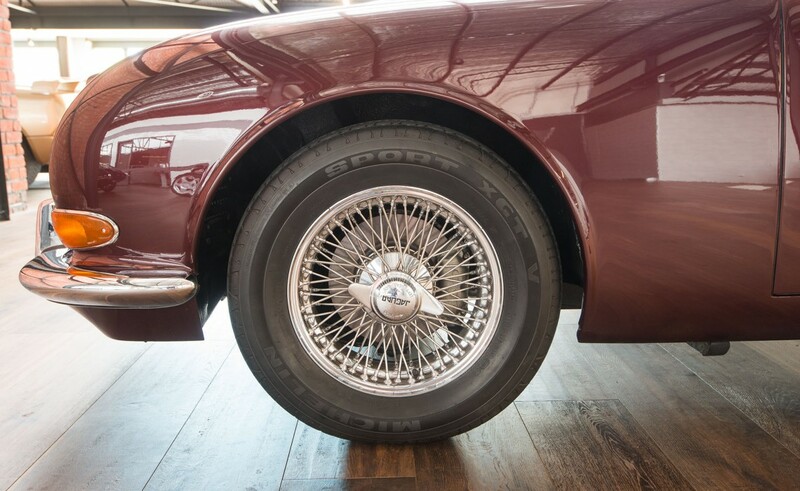 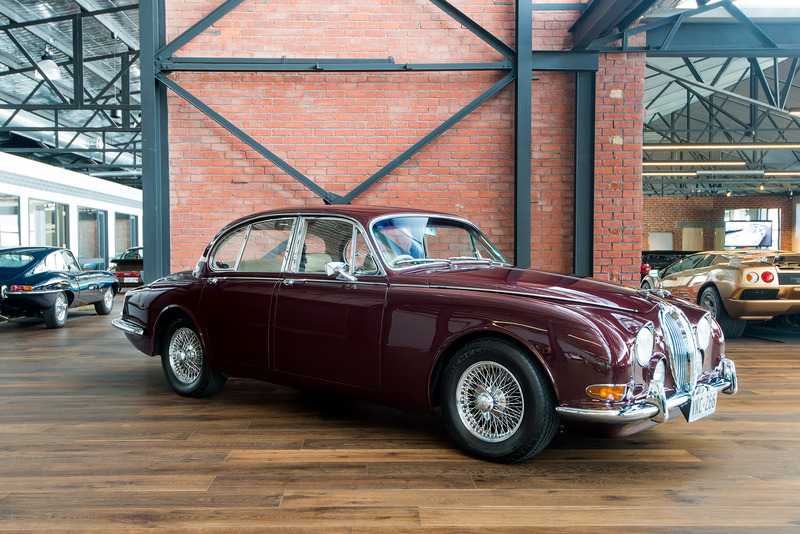 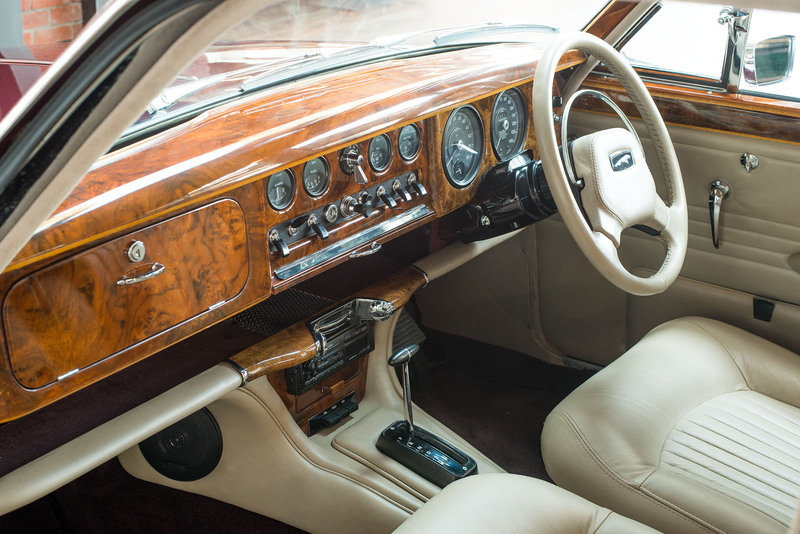 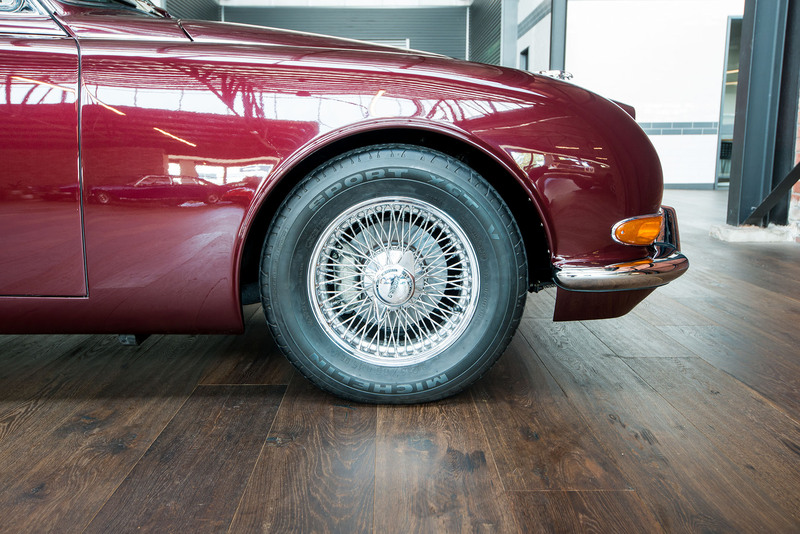 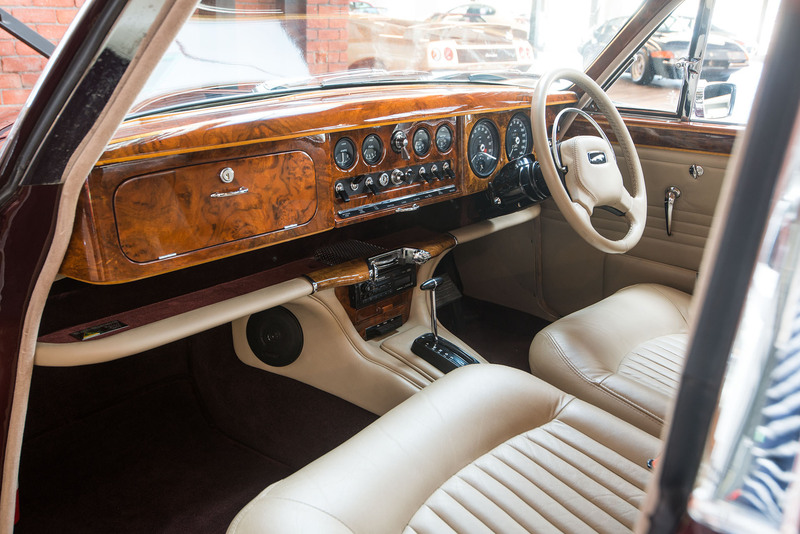 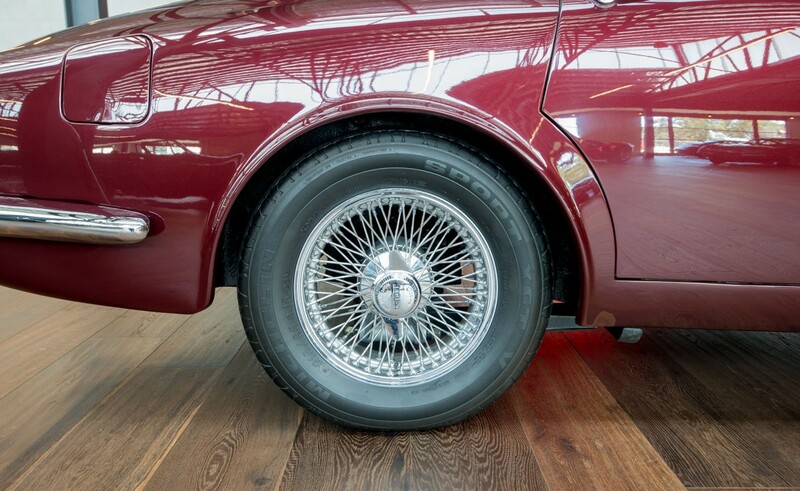 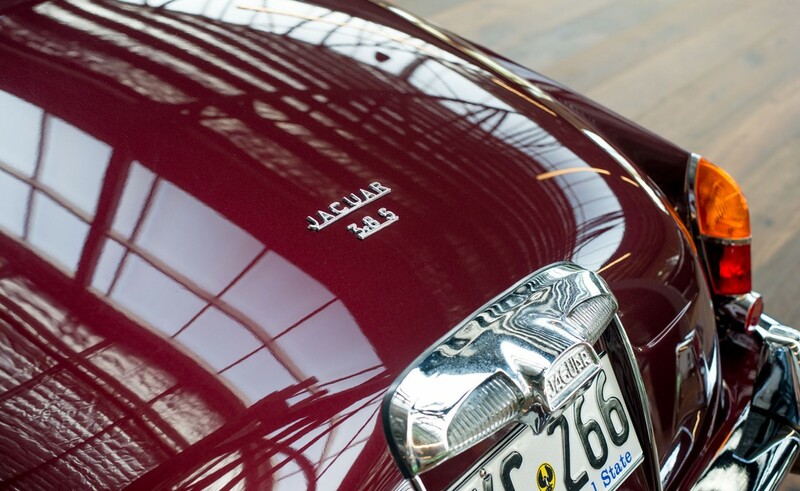 A beautiful example of the S Type Jaguar in Metallic Maroon with beige leather trim. 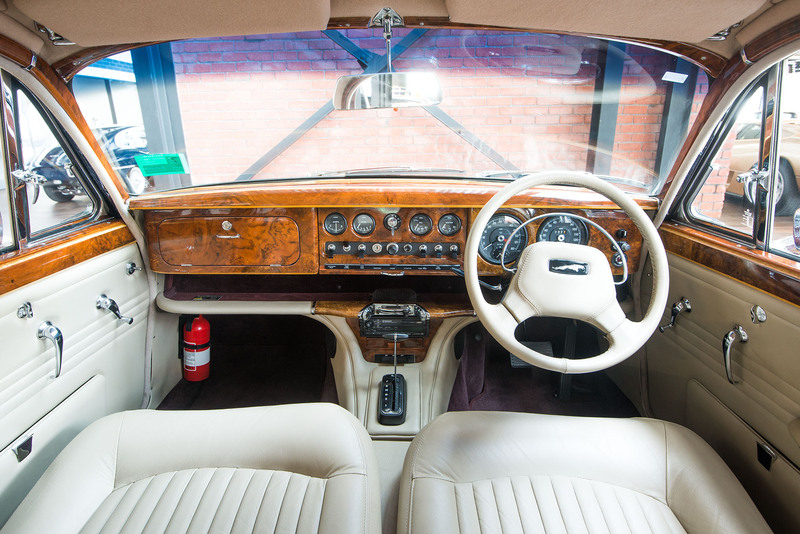 Delivered new in Melbourne in 1966, it has had three other Victorian owners and now lives in South Australia. 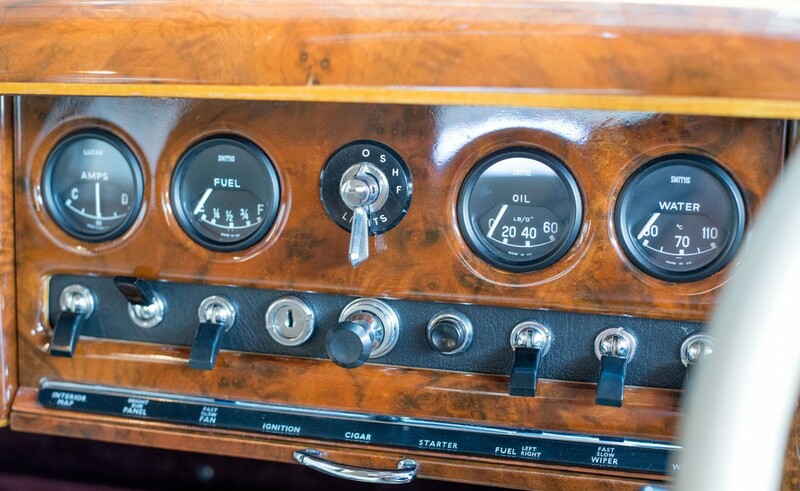 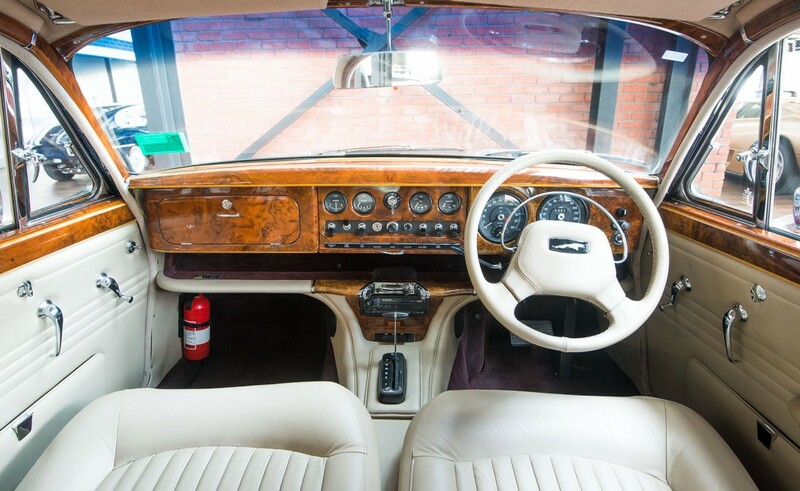 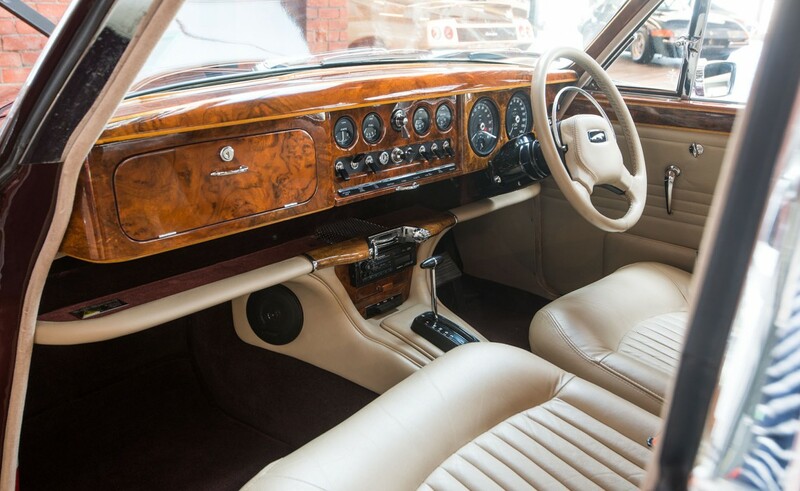 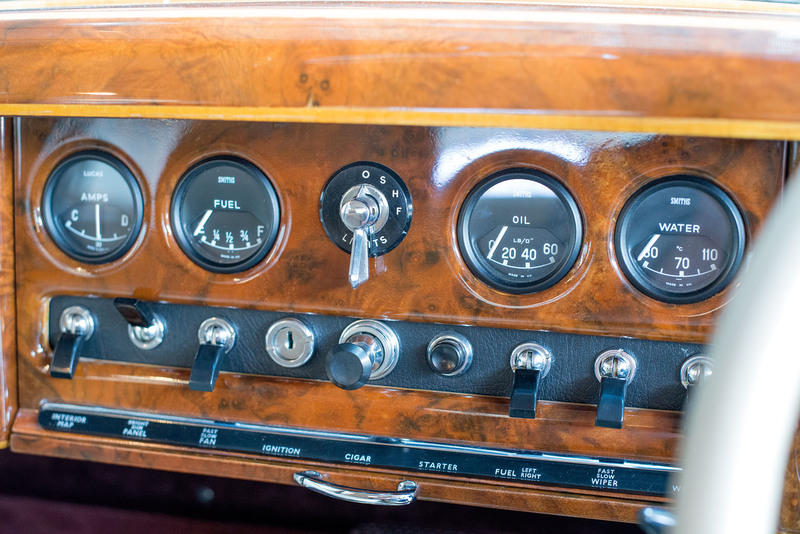 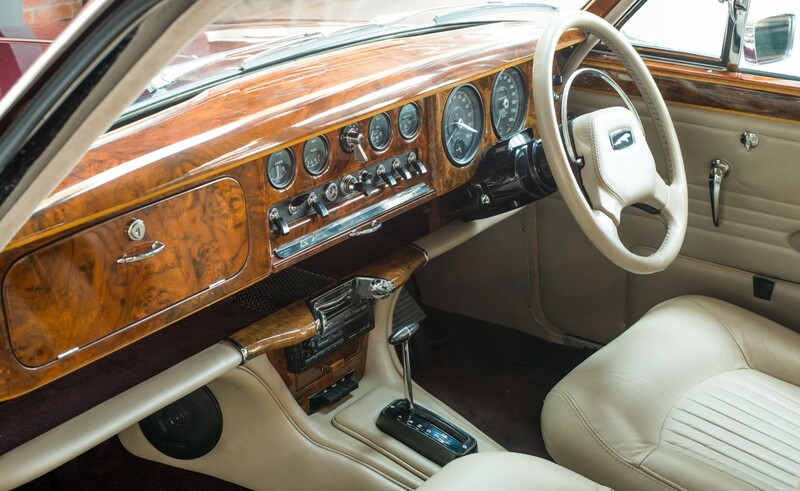 A major restoration was carried out by it's present SA owner in 1991/92 with the engineering completed by Murphy Automotive Engineering and body work by Des Higgins Motor Bodies of Salisbury. 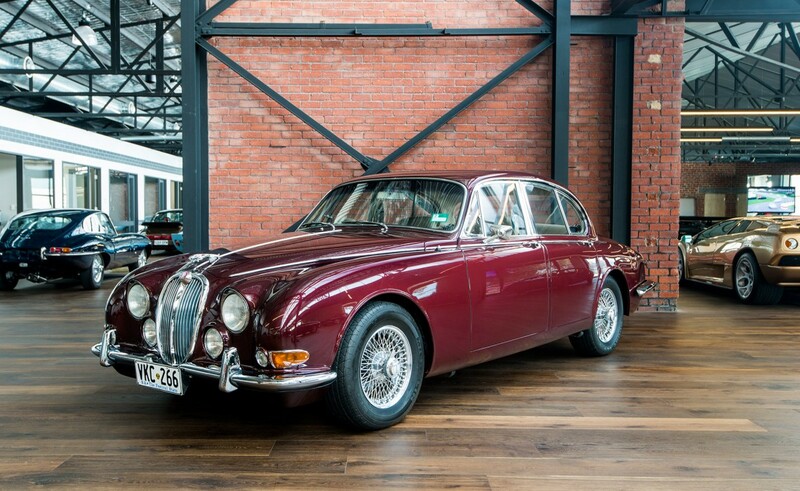 Their combined efforts have presented an S Type of outstanding quality and class, probably exceeding Jaguar's standards of the 60's. 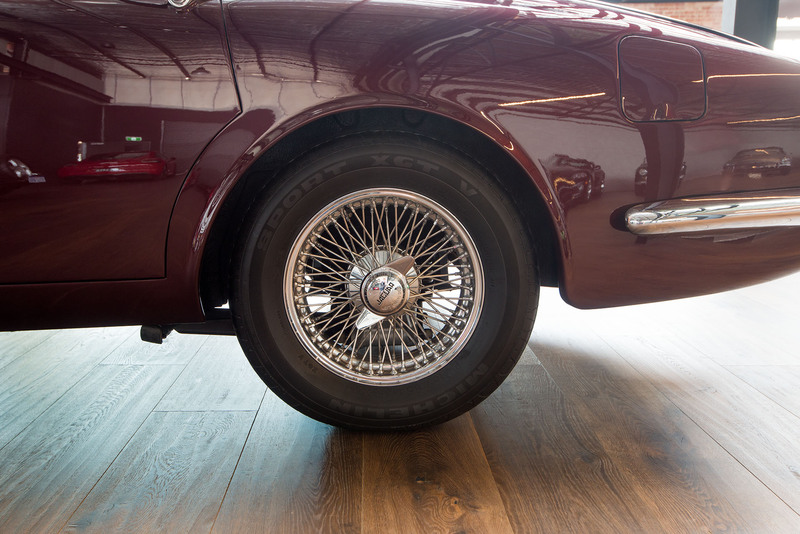 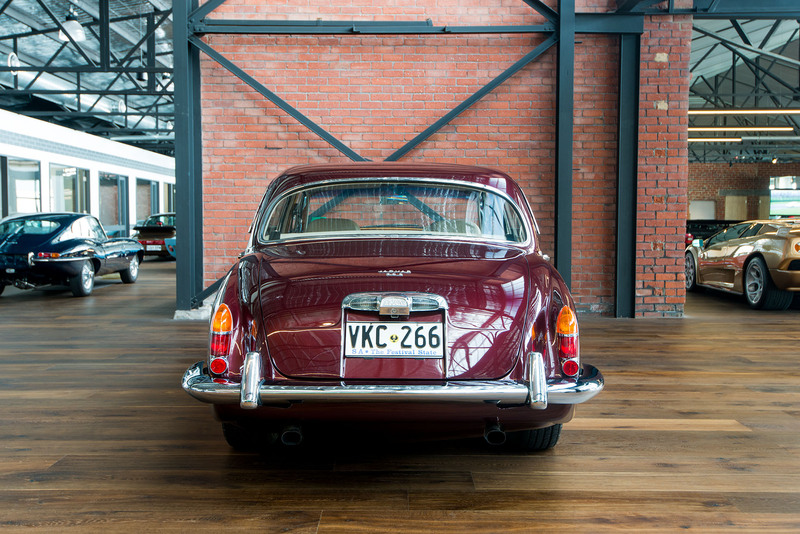 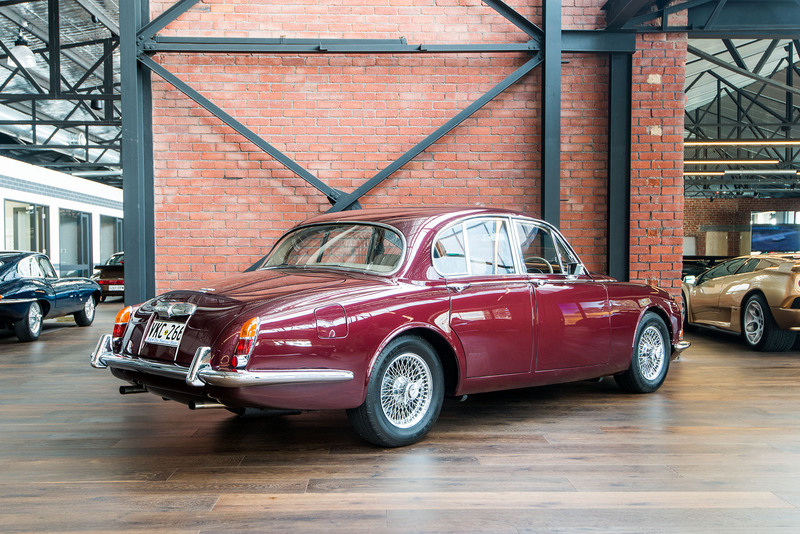 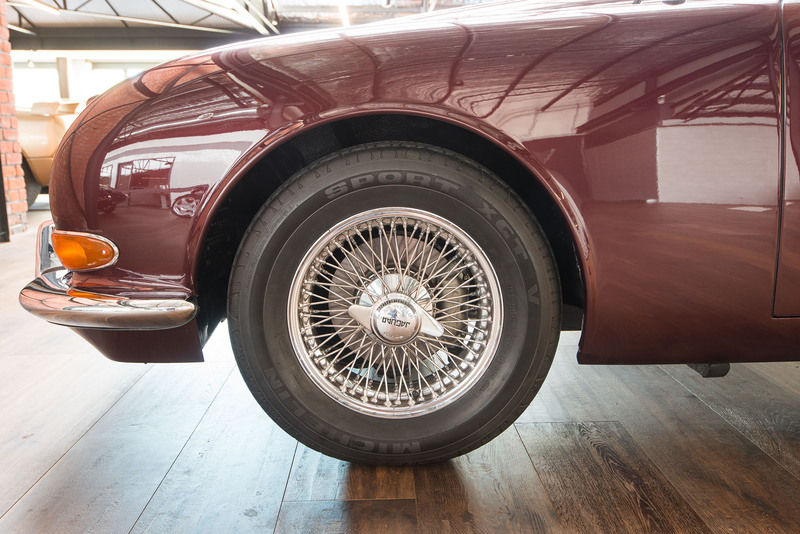 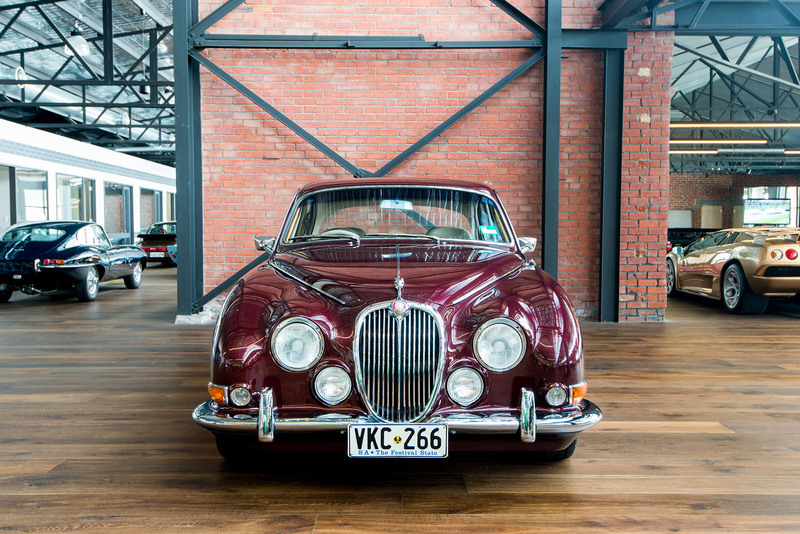 The S Type was the first compact Jaguar saloon with independent rear suspension, giving it exceptional road holding and credibility even on the race track. 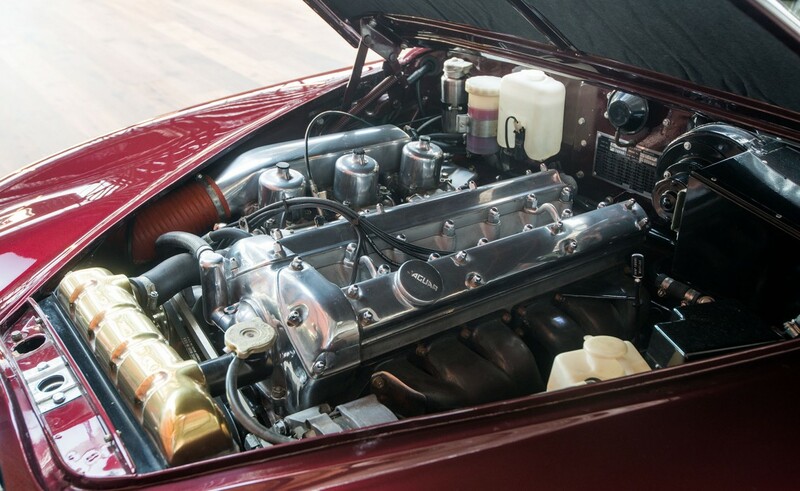 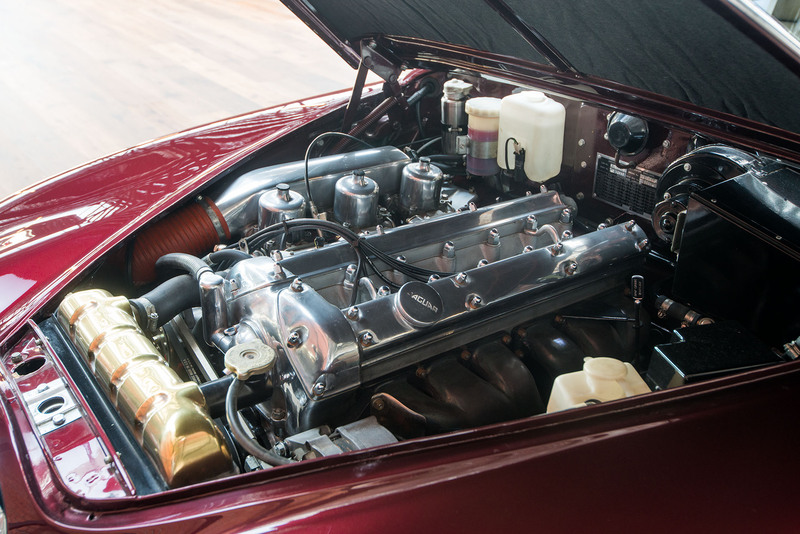 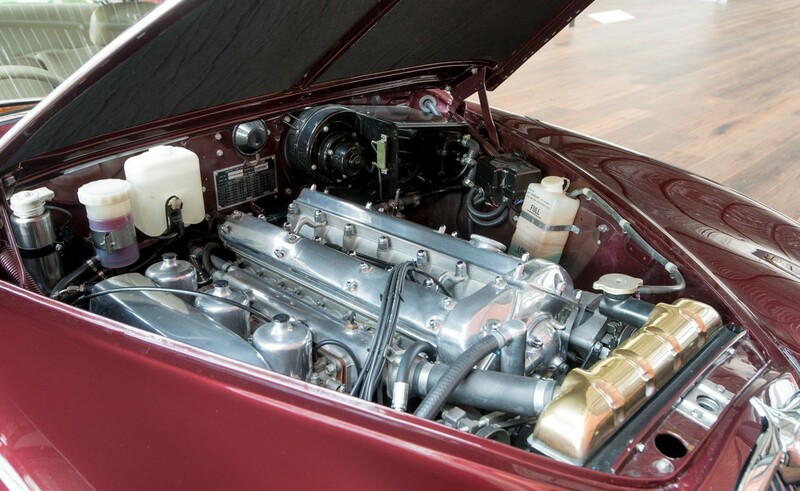 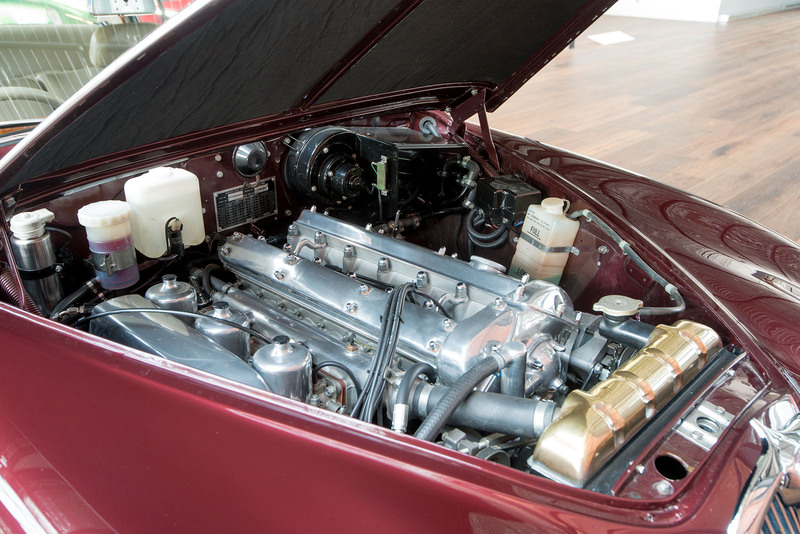 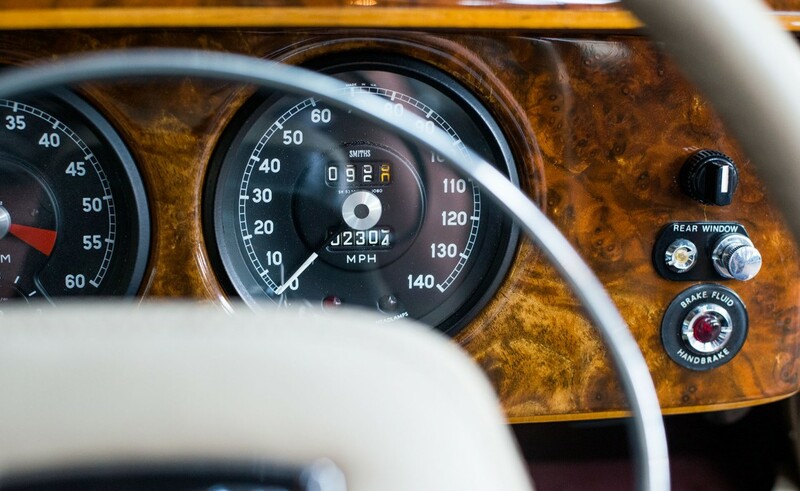 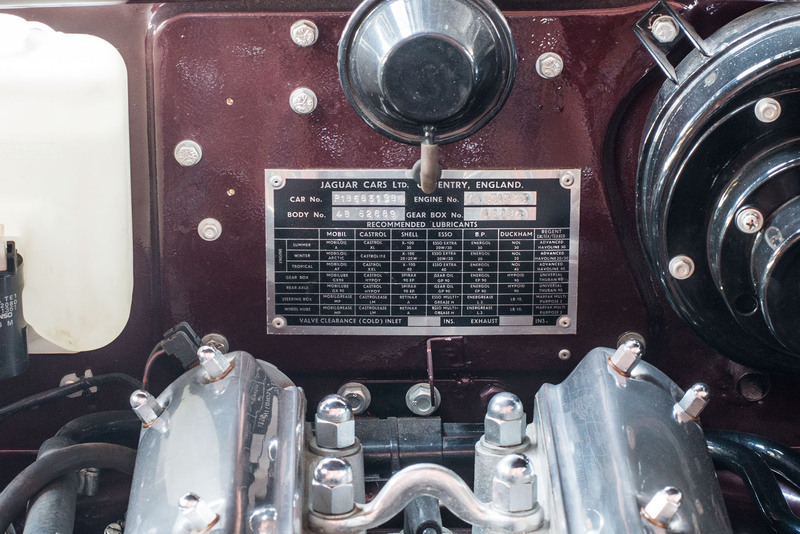 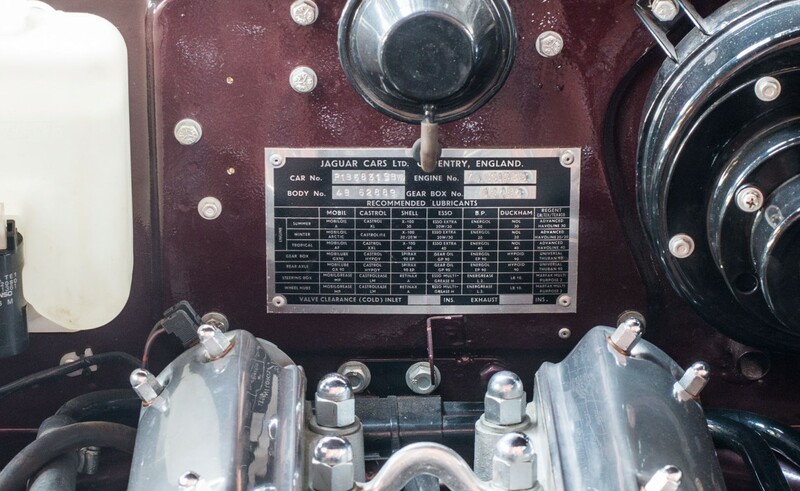 A powerful 4.2Lt Jaguar XK engine with triple SU carburettors has been fitted to the car to give it increased performance to match it's looks and style. The power is delivered through a 3 speed automatic transmission giving smooth and healthy performance and economy. 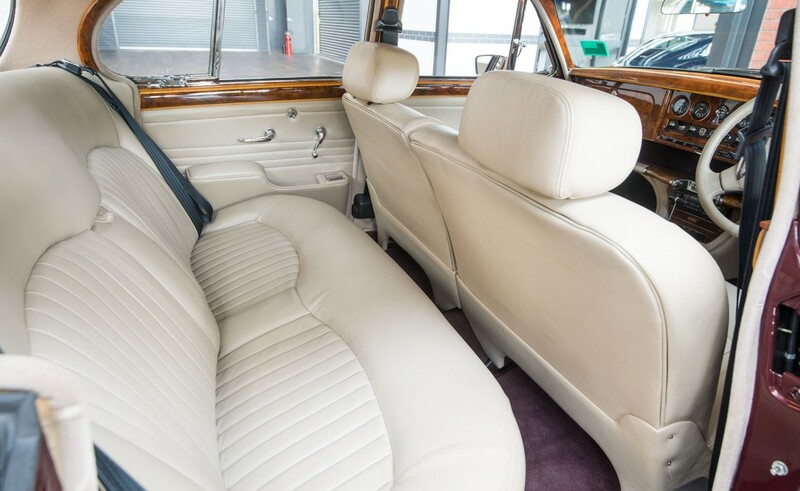 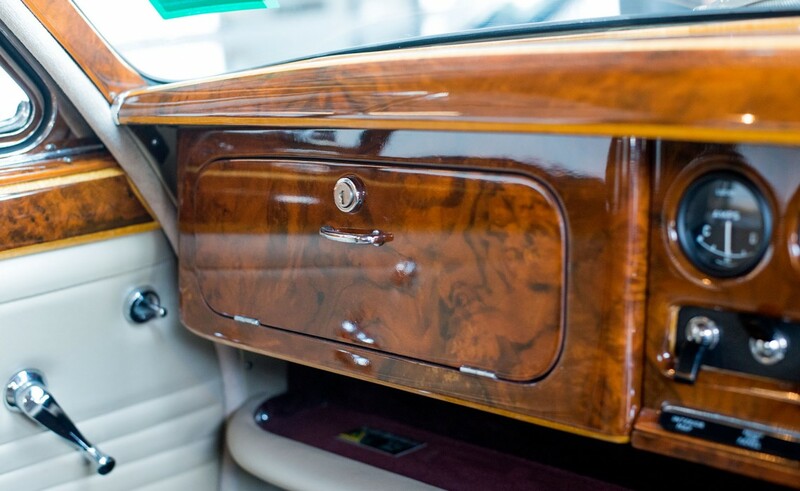 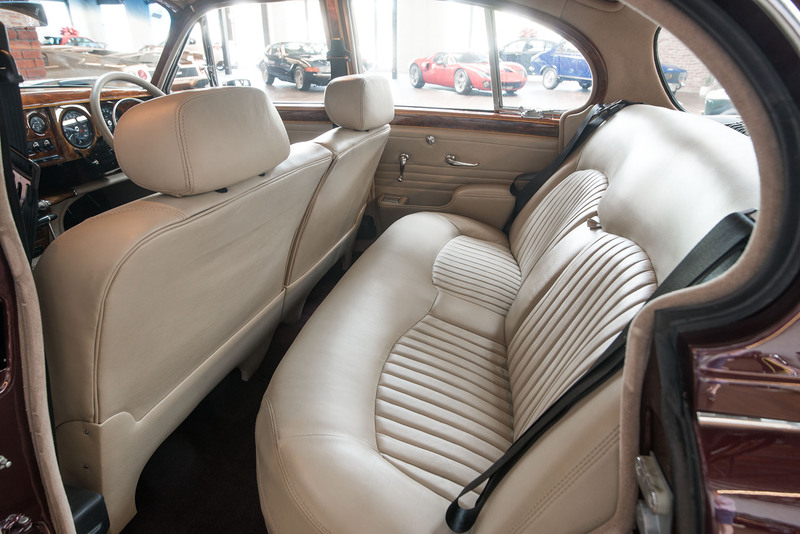 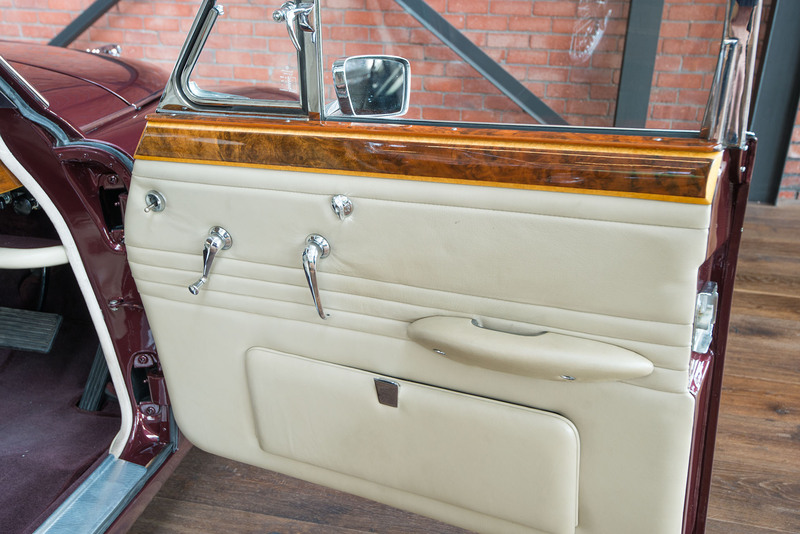 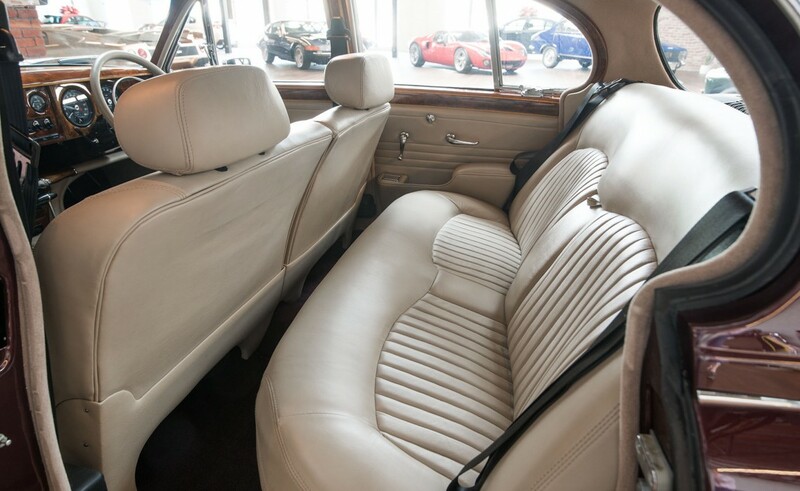 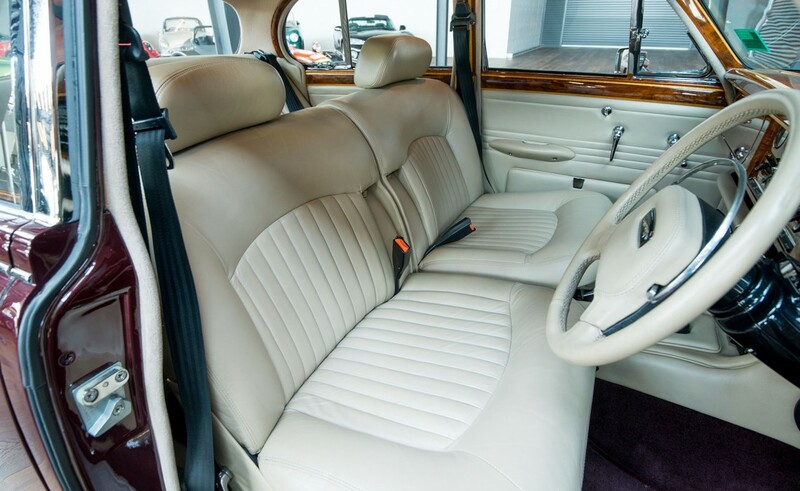 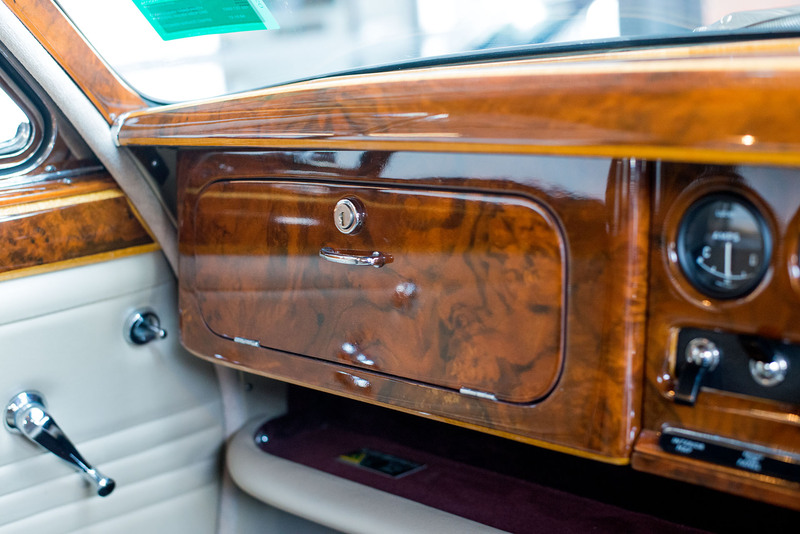 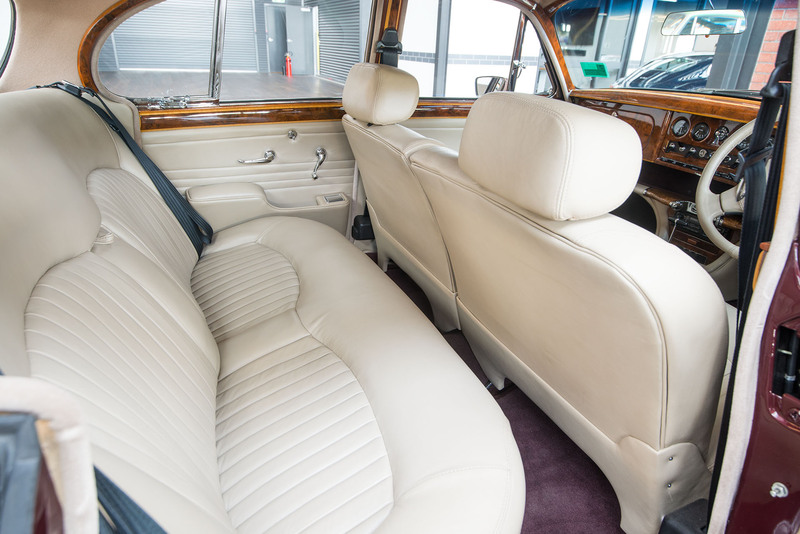 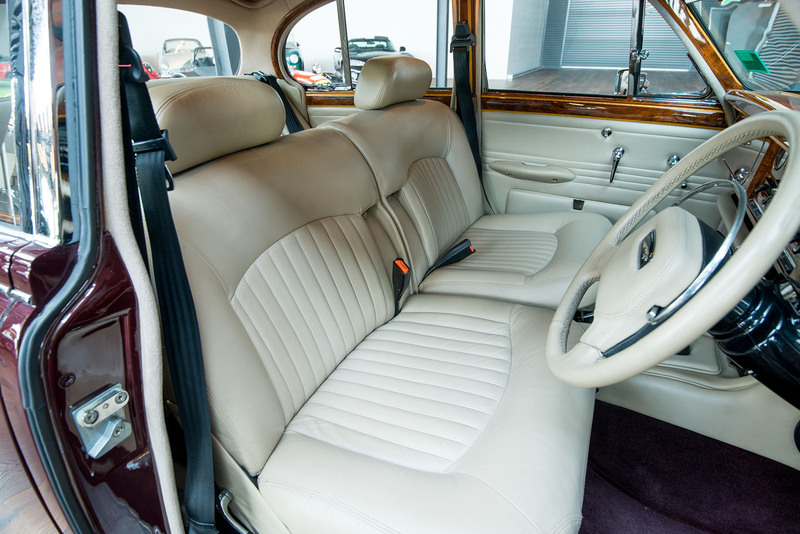 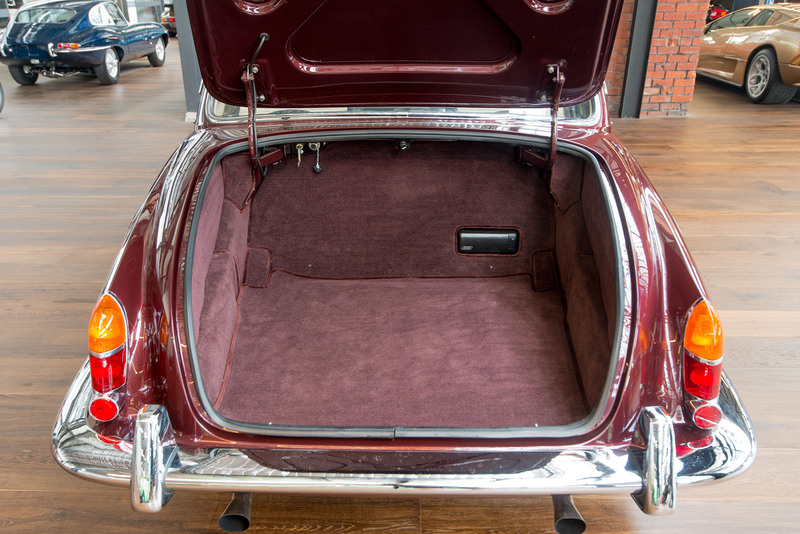 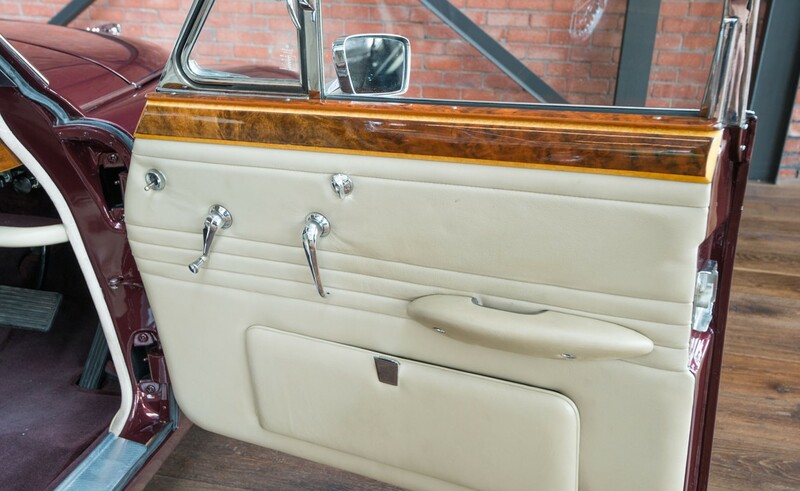 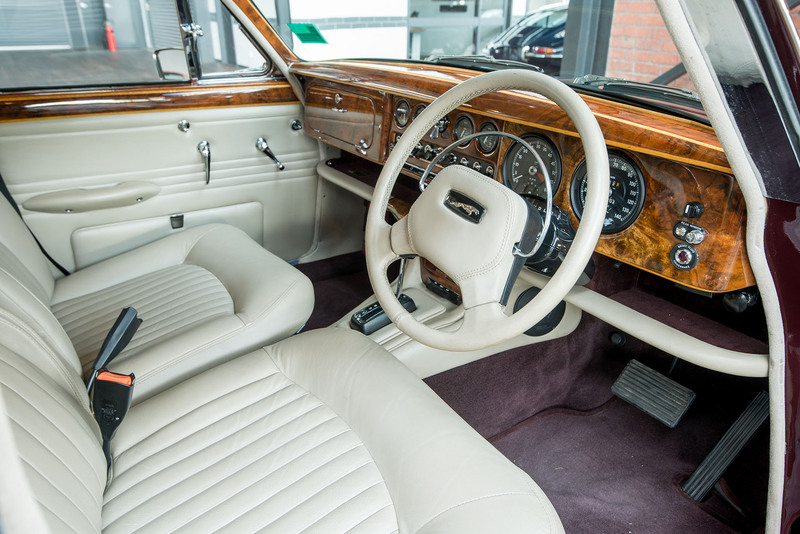 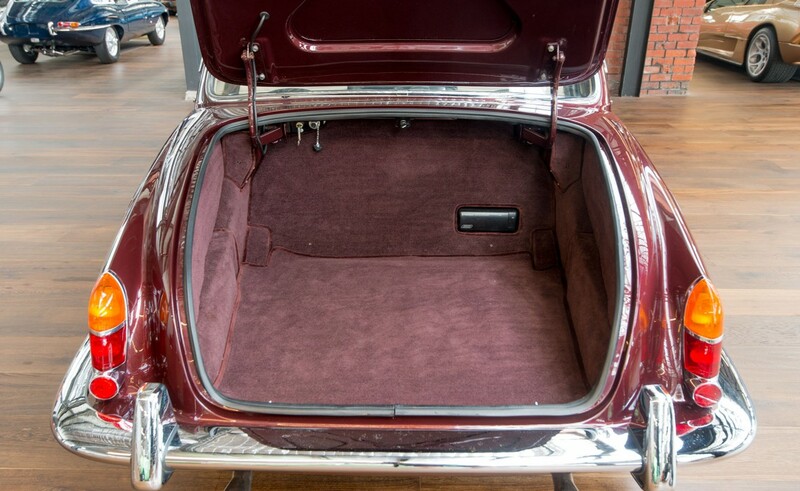 Included in this very fine restoration is air conditioning with the vent positioned on the rear parcel shelf for maximum passenger comfort. 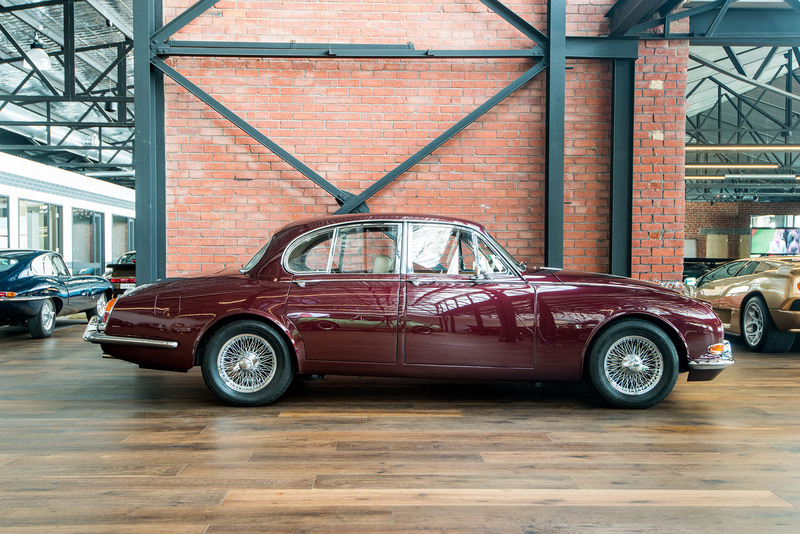 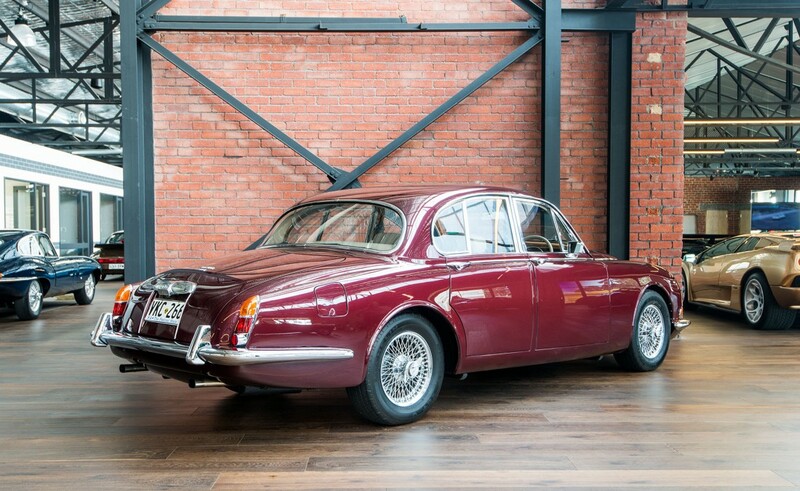 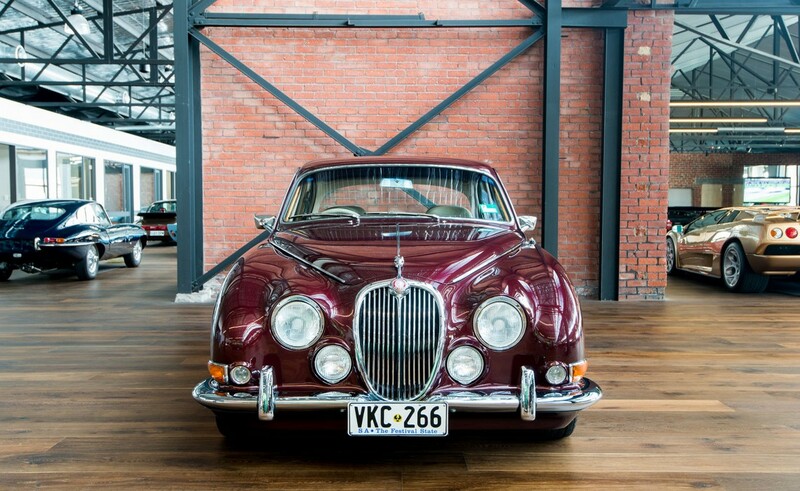 This very fine Jaguar which would grace any garage or collection and would provide the owner with miles of classic driving pleasure. 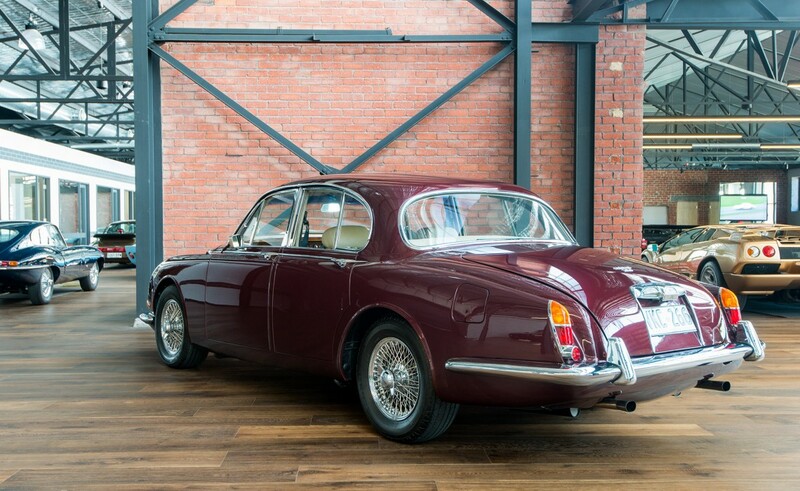 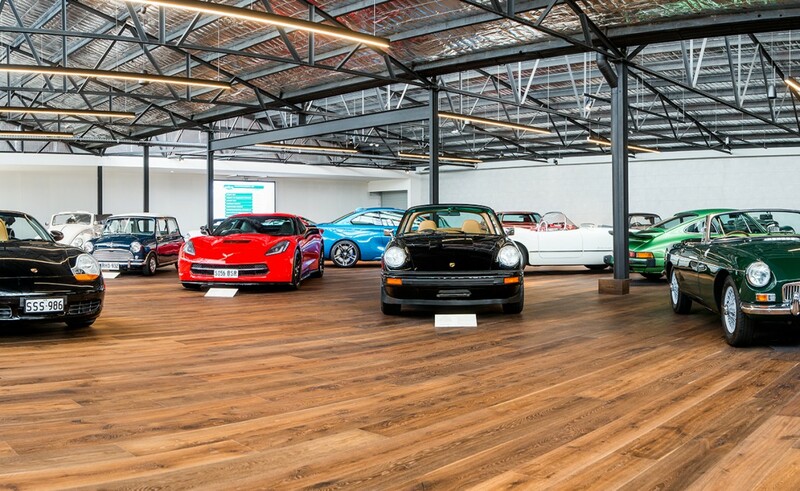 Available to view on our new showroom floor.